The Merlion is a symbol of Singapore that is made most popular to not only the locals of Singapore but also the tourists around it. The Merlion is a majestic symbol of a head and torso of a lion without the arms and the tail of a fish. This symbol has been the representation of Singapore for quite a while now. 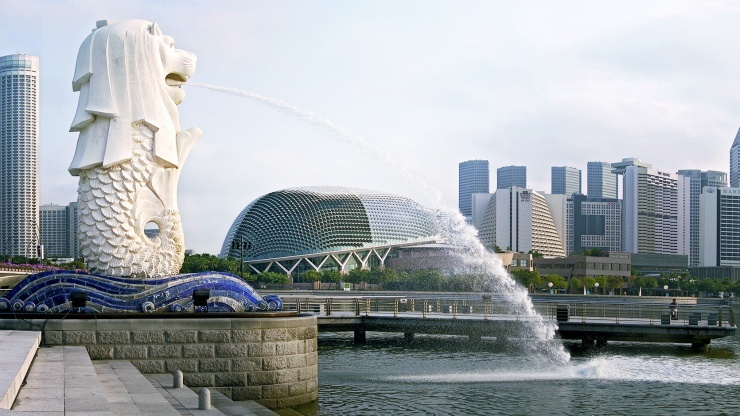 The question we all ask is, “How did the Merlion even come about?” Well, to answer that question, we should look back at Singapore way before she has become one of the rising first world countries of today. Singapore back then used to be nothing. In fact, most of Singapore was built instead of actually being there in the first place. Singapore even had to buy soil just to make land. Hard to believe looking around and seeing how sophisticated and huge Singapore is today. Back in the day, Singapore started as a port. A port where ships from all around would conduct trade. And if trade was conducted in a certain country, that country automatically benefits. Here’s the crazy part, Singapore used to be on top of water! That’s right: Singapore wasn’t just a trading place, it was actually a place where most of their establishments were above direct water. Since you are surrounded with water, what does that say of your livelihood? Well, you are correct. Fish! The early Singaporeans didn’t have farms at all, they just had boats. They would live off of what they would find in the water. This also helped Singapore to expand in influence and as Singapore become richer and richer, Singapore started to become powerful at the same time. Now this is why the Merlion is the Perfect symbol for Singapore. Because it incorporates a huge piece of history which has made Singapore what it is, and has also represented the strength and power of Singapore. 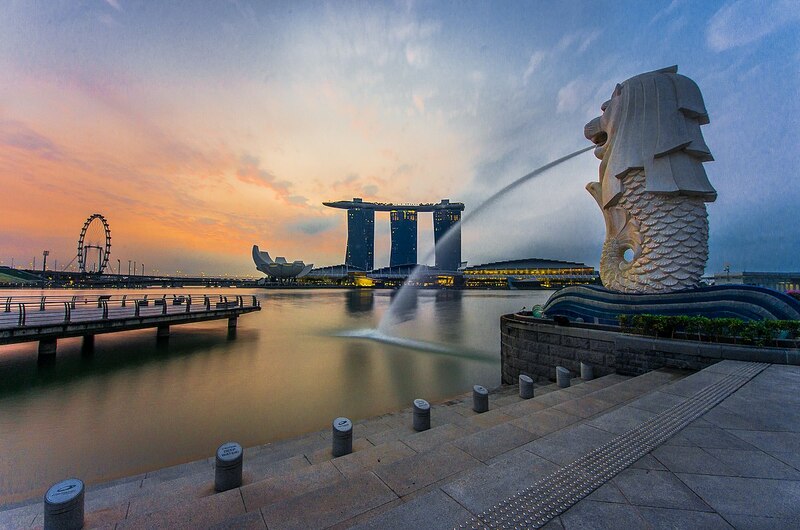 The bottom half of the Merlion gives reverence to Singapore’s history while the upper half gives revelation of Singapore’s power and strength to charge into the future. You may find the Merlion symbol all around as it is not used to attract tourists, but it is also well celebrated among locals. Singapore has had no plans to change the Merlion as it has been agreed to be a perfect representation of the country in itself. 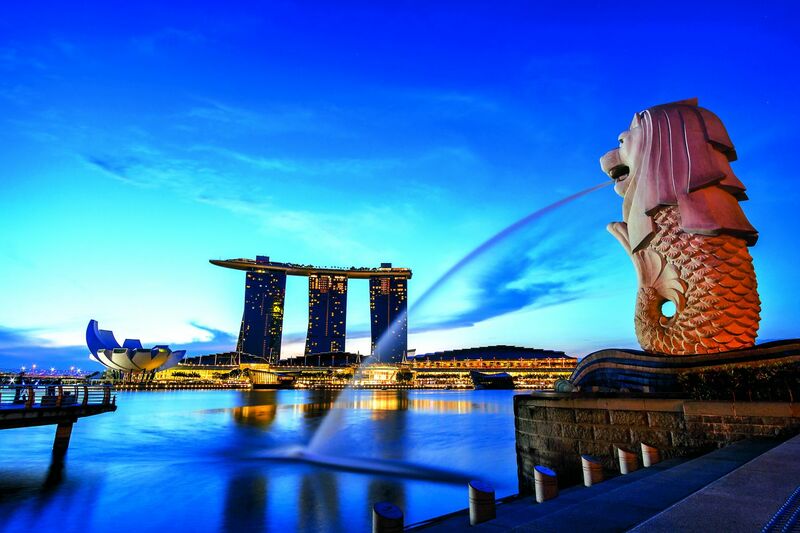 Singaporeans display the Merlion with pride as its statue stands tall and proud on the Marina Bay Sands. The Merlion is a reminder of not just Singapore’s ability to survive, but also Singapore’s power. She may be a small country, but a force to be reckoned nonetheless.